At Riviera Travel, we send our staff on educational trips to the wonderful destinations where we take customers on our escorted tours and cruises. This gives our team the specialist insight needed to constantly improve our customers’ experience. After all, how can we offer the best service if we don’t actually experience first-hand what our customers do? When they return from these trips, our staff always share what they’ve learned with the rest of us. And of course, it’s great to get out, see more of our amazing world, and come back refreshed with a new outlook. 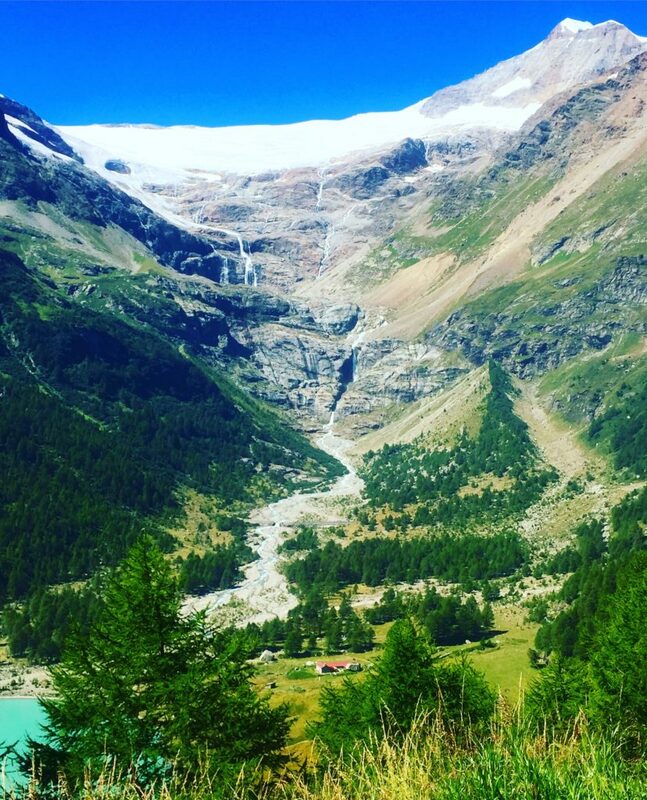 In September, Kez, who’s part of our Operations department, went on our Switzerland, the Matterhorn and the Glacier Express tour, which takes you through some astonishingly beautiful Alpine landscapes. Kez described the weather as, “Beautiful! 27 degrees and blue skies all week long!” We could go on and on about it, but we’ll let Kez’s photos do the talking. The awesome Bernina Pass. The building at the foot gives an idea of the immense size and scale. 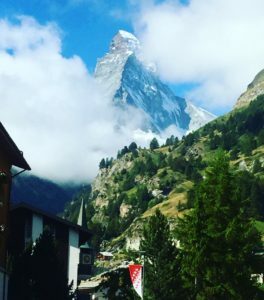 The Matterhorn – Stunning, even when shrouded in clouds and slightly blurry (sorry Kez, but it’s true)! 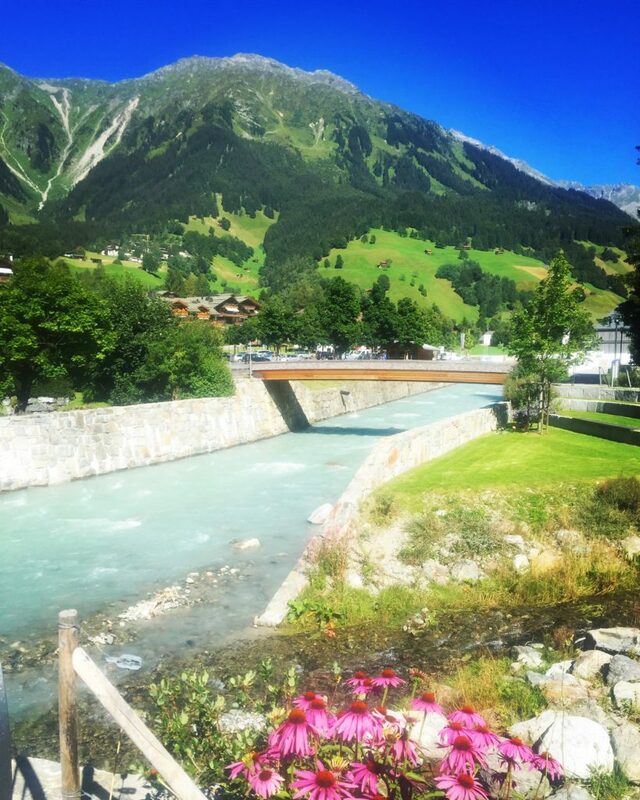 The famous ski resort of Klosters, seen here without its winter coat. 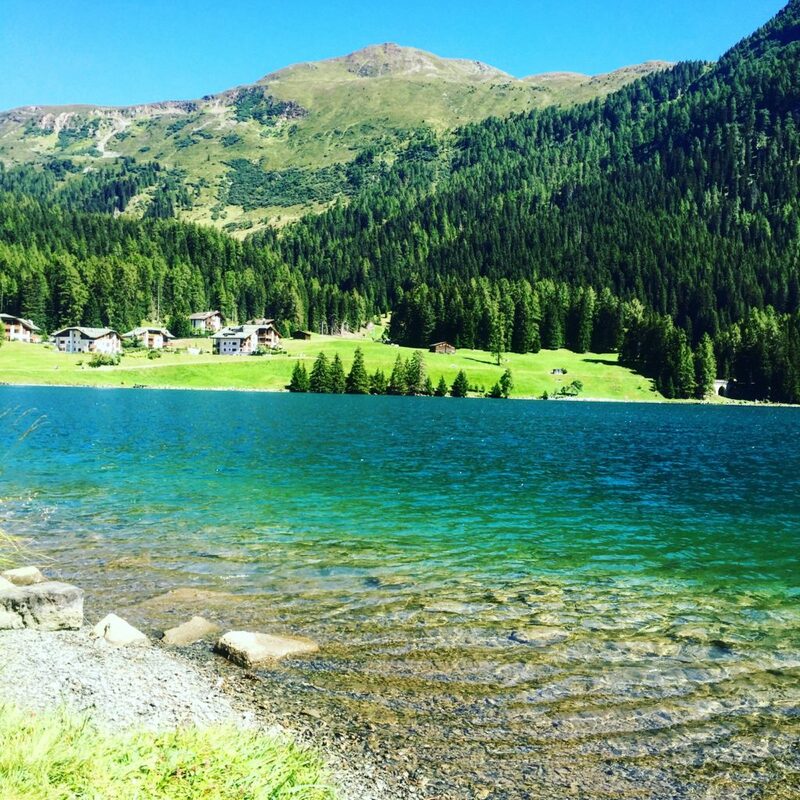 For a truly tranquil scene, visit the natural Davos Lake. 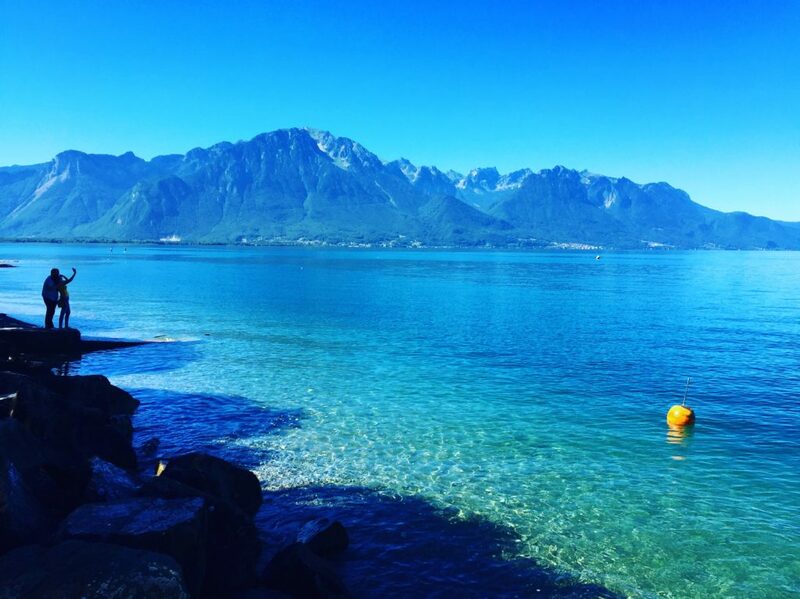 How many shades of blue can you count in this photo of Lake Geneva? We hope you have a fantastic time on holiday with us! I only went to Switzerland once, in 1964, and loved every minute. This holiday looks so tempting! Visited Switzerland for a day this year on your Rhine valley cruise – absolutely beautiful and has whetted my appetite to return for longer – as do these pictures! Stunning, and thanks for sharing.